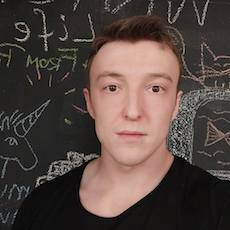 Piotr Gankiewicz | My personal page and blog about software development. Hello. I am a software engineer.a Microsoft MVP.a freelancer.a problem solver.an athlete.a motorcyclist. I live in a beautiful city Kraków in Poland. I write about software development (mostly). Also, I’m an open source contributor. I can write the software from the scratch, following the best principles and patterns, to make the code efficient, reusable and maintainable. The following are my general rules: keep it simple, clean and SOLID. Not sure where to begin with the application architecture? How many layers are needed? Which data storage should be used? How to model your domain? I can help you find the right answers for these questions. Want to move your application into the cloud services? Wondering how to set up web applications, virtual machines, databases and infrastructure? Having experience in working with the Azure cloud I’ll be glad to help. Deliver the new versions of your software automatically and make use of continuous integration & deployment techniques. Automate your data backup into some safe storage. Make the users of your software happy.